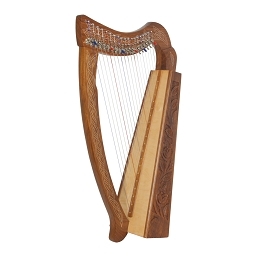 Roosebeck 21 Inch Baby Harp 12 String + String Set & Tool. 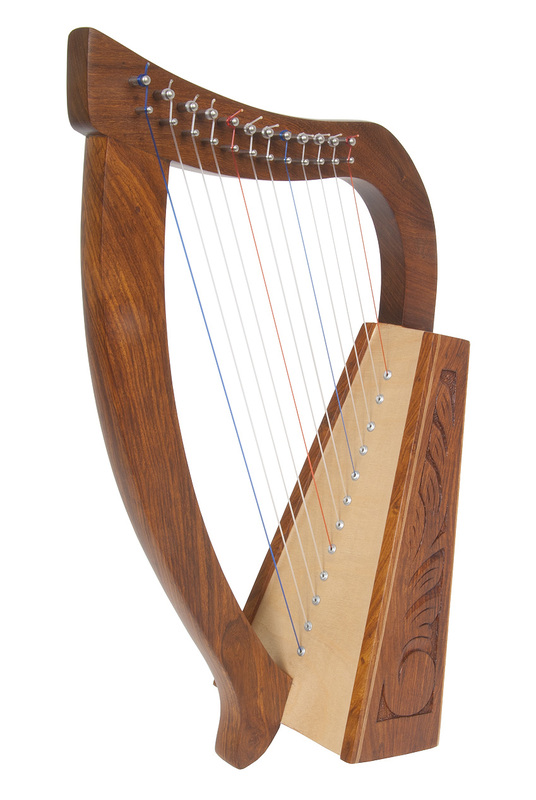 Baby Harp™, 12 Strings HPBY This functioning harp has an engraved sheesham frame with a birch soundboard. Featuring 12 DuPont hard nylon strings with a range from F above Middle C to High C. There are no sharpening levers. A tuning tool and an extra string set are included. Instruction book sold separately. Approximately 21" high. 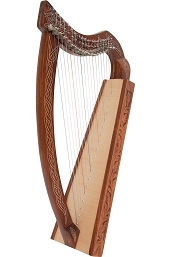 My wife loves the harp, it is very nice quality and she will be starting harp lessons next month. Great price, very helpful customer service, definitely would buy again.